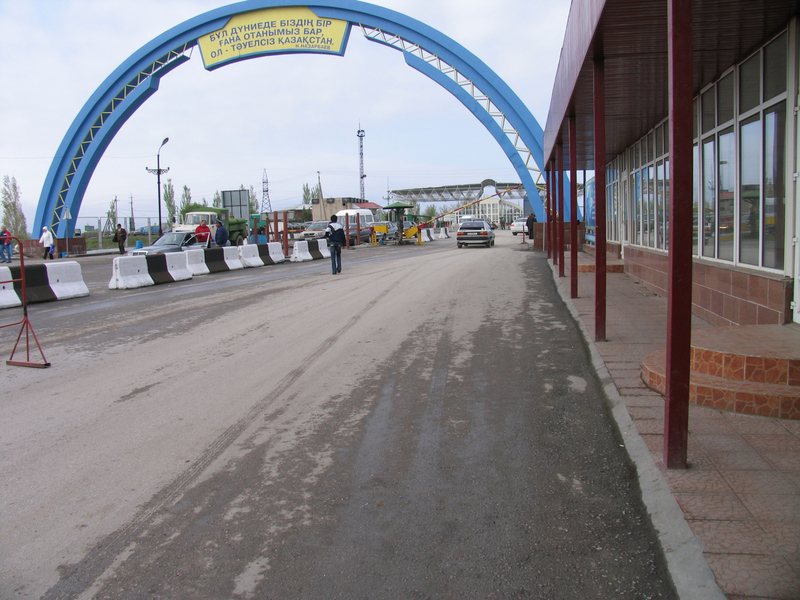 Recently Kazakhstan and Kyrgyzstan have opened the customs border which marked Kyrgyzstan’s acquiring of the status of a full member of the Eurasian Economic Community (EAEC). Since out of all the countries of the Community Kyrgyzstan has a common border only with Kazakhstan, customs posts were dismantled at eight checkpoints of the Kyrgyz-Kazakh border, while all the external border posts of Kyrgyzstan were modernized on the funds allocated by Russia and Kazakhstan (300 million dollars) . Now the Kyrgyz Republic is using the common customs tariffs and product requirements established by the technical regulations of the Community. Businesses in Kyrgyzstan are now compelled to comply with the common quality requirements, but for the main export product of Kyrgyzstan – migrant workers – the “golden age” has officially begun. Migrants will now be freed from passing examinations and acquiring labor patents in Russia, it will no longer be necessary for them to register locally within a month after crossing the border with Russia. Kyrgyz citizens can go to work to Russia while having only the internal Kyrgyz passport and the only demand they have to fulfill it to sign an employment contract, as do citizens of other EAEC members states – Kazakhstan, Belarus, Armenia. Their family members will be eligible to apply for social security in Russia, enjoying the benefits of free medicine and education. The population of Kyrgyzstan has already reached 5 million people, while a half of this number constitutes the actual working population. About one million citizens of Kyrgyzstan are constantly working abroad. According to Russia’s Federal Migration Service up to 300 thousand citizens of Kyrgyzstan are now employed in the Russian Federation, but experts believe that this figure is 2 or even 3 times higher. Outside of the home country Kyrgyz generally live in relative isolation, preferring to visit predominantly Kyrgyz cafes, medical centers, sports clubs. To resolve their own issues they usually have their own local council composed of respected elders of the local Kyrgyz diaspora. According to The Human Capital Report – Kyrgyzstan is on the 44th place out of 124 states, ahead of the United Arab Emirates, Turkey and India. This study was carried on the basis of studing 46 different factors, including level of life, literacy, education and life expectancy. However, the success of Kyrgyzstan in building a national society and steps that are made to integrate it in the Eurasian community are often being criticized by foreign players. The most rigid critics of these processes is the United States and some other Western countries. The US media has been particularly vocal in condemning Bishkek’s decision on the denunciation of the bilateral Cooperation Agreement between the US and Kyrgyzstan, that was signed two decades ago. There’s little doubt that this denunciation will cut the financial flows of numerous NGOs. Those “American propaganda mouthpieces”, as it can be witnessed everywhere around the globe, are designed to effectively undermine the foundations of a state, and Kyrgyzstan is no exception. Of course, Kyrgyzstan would lose certain financial preferences, but since the foreign agents have done a lot of harm to the state, it’s safe to assume that this Central Asian country will only profit from this step. The West has also been criticizing Bishkek’s intentions of prohibiting foreign sponsoring of demonstrations since this strategy has already been used against local authorities, when pro-Western NGOs made an attempt to forment a “Tulip Revolution” in March 2005. In particular, the bill in question bans foreign sponsors from funding peaceful assemblies. It’s has been pointed out rather reasonably by the Interior Ministry of Kyrgyzstan that peaceful assemblies must be carried at the expense of organizers and participants of these civil demonstrations. Therefore, such organizer will be obliged to submit the local authorities with the information about the source of funding for such demonstrations. It should be noted that it is highly unlikely that Washington would agree to allow a foreign NGO to sponsor the ongoing campaign of Texas secession movement, but it’s just yet another example of American double standards, that are being displayed in Kyrgyzstan today. The verbal rhetoric of Washington is not capable to hide the desire of the Pentagon and the White House to achieve the separation of Kyrgyzstan and Russia. This fact has been been openly admited by Pamela L. Spratlen on the eve of her departure from Kyrgyzstan, where she served as a US ambassador to Bishkek. The man who replaced her – Richard Miles failed in fomenting a “revolutionary movement” in Bishkek, just like his predecessor did, even though he’s been known as the notorious engineer of “color revolutions” in different Eastern European states. Immediately upon his arrival to Bishkek, he began actively promoting certain “democracy projects” which resulted, as we all know, in the denunciation of Cooperation Agreement between the US and Kyrgyzstan. These efforts will be carried on by the ardent supporter of gay love Sheila Gwaltney which in the end of August was named the next US ambassador to Kyrgyzstan. She served as a deputy director in the Office of Russian Affairs in the U.S. Department and there’s little doubt that Washington wants to use her expertise in nurturing anti-Russian sentiments in Kyrgyzstan. However, Kyrgyzstan is determined the sustain the vector of its development, and instead of seeking the support of the world’s oligarchy, it has chosen to cooperate with friendly states, that are close to it historically and spiritually.